We finished off the year with some carol singing at Sainsbury's in Bridgnorth. Thank you to all those very generous customers at the store who threw lots of money into our collections bucket which meant we were able to send a cheque for £300 to Prostate Cancer UK. A fantastic June concert in Shrewsbury with 'Of One Accord' raised £873.35 for Alzheimer's Research UK. 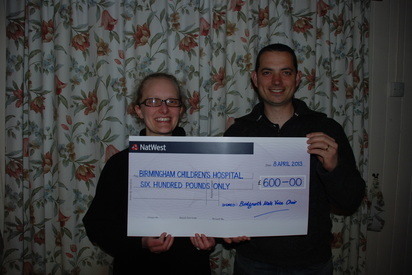 ​We also supported this cause at Bridgnorth Choir Mania in September and added a further £1044 to the pot. 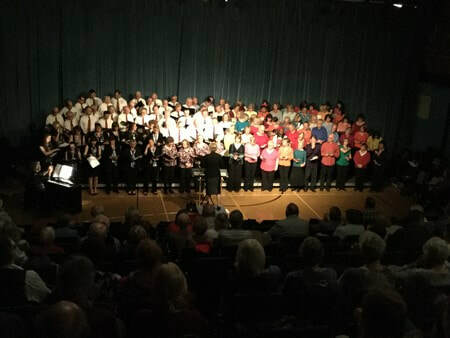 The five choirs at Choir Mania, Bridgnorth Male Voice Choir, Bridgnorth Community Pop Choir, Cadence, Concordia and Voices in Harmony joined together for a superb finale. ​During the Christmas period, we sang carols at Dudmaston Christmas Craft Fair, Severn Valley Railway Carol Train and at Sainsbury's in Bridgnorth raising a further £295.60 to be added to the fund. This year BMVC decided to vote for charities local to Bridgnorth. After a vote, it was decided that the Bridgnorth Helping Hand would be this years charity. £500 was raised for the charity which was very much welcomed. This year BMVC managed to raise £500 for the Air ambulance. The choir would like to thank all those who supported our events and raffles and helped raise this amount that will be greatly appreciated by the charity. 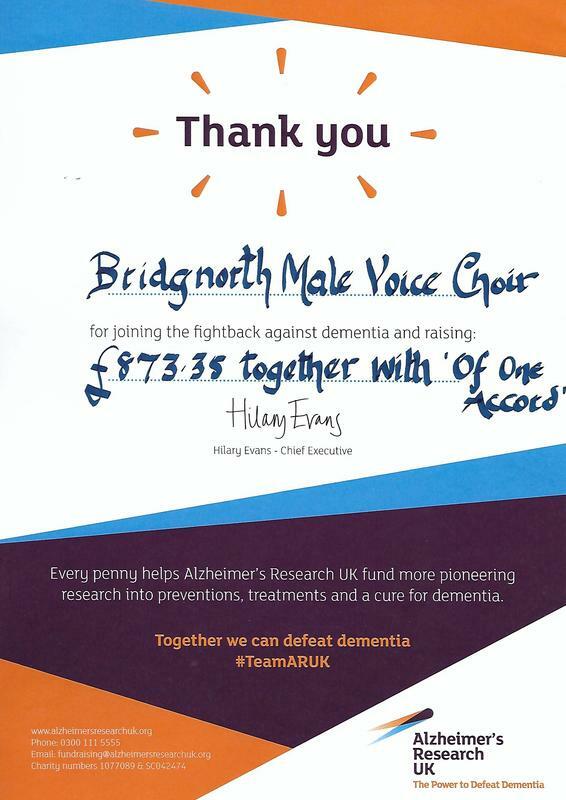 Bridgnorth Male Voice Choir raised a total of £600 for the Birmingham Childrens Hospital through our concerts and raffles. This year we are supporting the Midlands Air Ambulance and hope to exceed last years total. Come and help us do this by supporting our events.